/ Attorneys / Orlando Vera, Jr.
Orlando Vera is an Associate Attorney at Simon Greenstone Panatier, PC. Mr. Vera attended Loyola University College of Law. He received a J.D. in 2015. In law school, Orlando participated in the Prosecution Legal Clinic, where he helped prosecute criminals for misdemeanor and felony offenses. Orlando also has a Master’s Degree in Clinical Research Management from the University of North Texas Health Science Center. He focused his thesis on the integrity of results yielded in a national, large scale cardiovascular clinical research trial. His study was published. 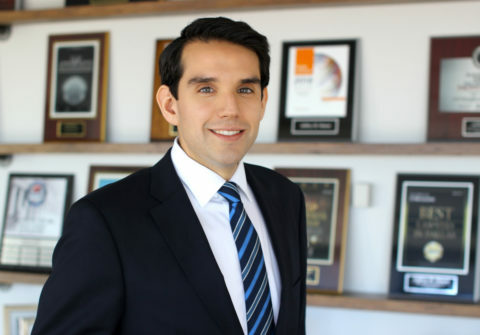 Orlando’s unique health science, legal background enhances his experience and strongly informs his practice areas. Presently, Orlando focuses his practice on representing clients in commercial vehicle accident cases, workplace injury cases, premises liability cases and medical malpractice cases. Orlando is from San Antonio, Texas. In his spare time, he enjoys traveling, reading, jogging and spending time with his family. Loyola University College of Law, New Orleans, Louisiana, 2015, J.D. I am driven to fiercely and passionately represent my clients, who have suffered severe and life altering injuries due to the negligence of others.